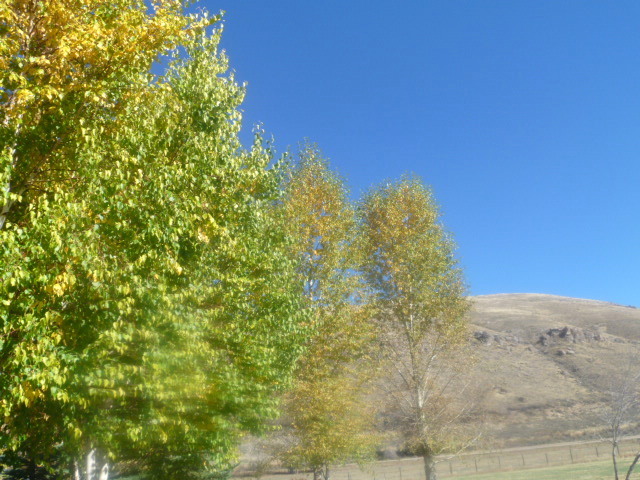 Today was a pure Wyoming day as I traveled across the entire state into Idaho on the return trek to Oregon. 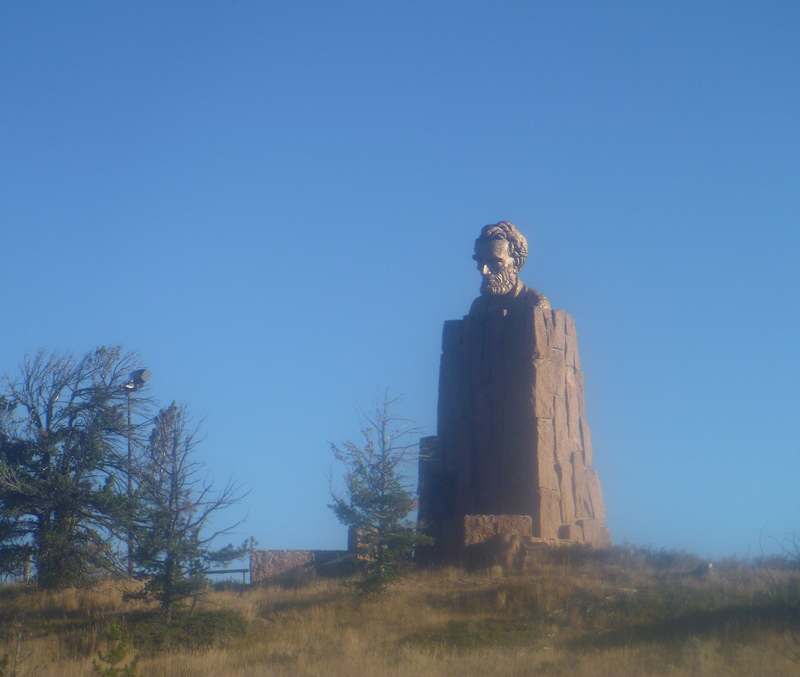 Leaving Cheyenne and traveling west to Laramie the first major highway landmark is the bust of Abraham Lincoln. Lincoln was taken this summer to Lander to the foundry there for cleaning and restoration and then returned to his post at the top of Stage Hill before the steep descent into Laramie. He is all clean and shinny in the sun. I found McBreakfast in Laramie and then headed back to I 80. 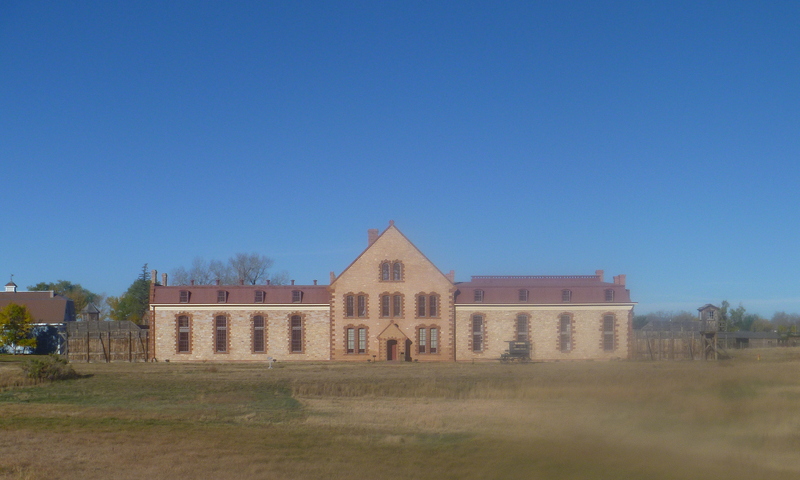 Just before getting on the 4 lane was a major Wyoming Historic Site—-the Territorial Prison. It is now a museum and one of these days I need to stop in and take the tour. 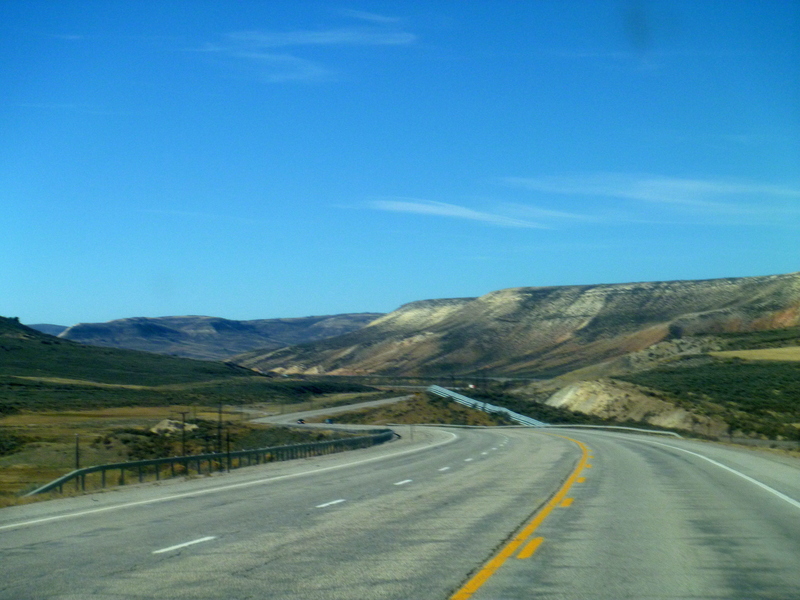 I 80 was built so that tourists could see Medicine Bow Peak as they drove along. In the good weather, if you are in the know, you see the many layers of wooden snow fence that goes on for mile after mile after mile. Known locally as Rattlesnake Ridge, this lengthy stretch is prone to high winds and drifting snow.and is often closed in the winter. It is treacherous travel and even today with the sun shinning and the countryside dry and clear, there were high wind warnings out with gusts up to 35 MPH and probably higher. Signs tell you that high winds are ‘possible’ which is Wyoming-speak for HANG ON TO YOUR B _ _ _ ! 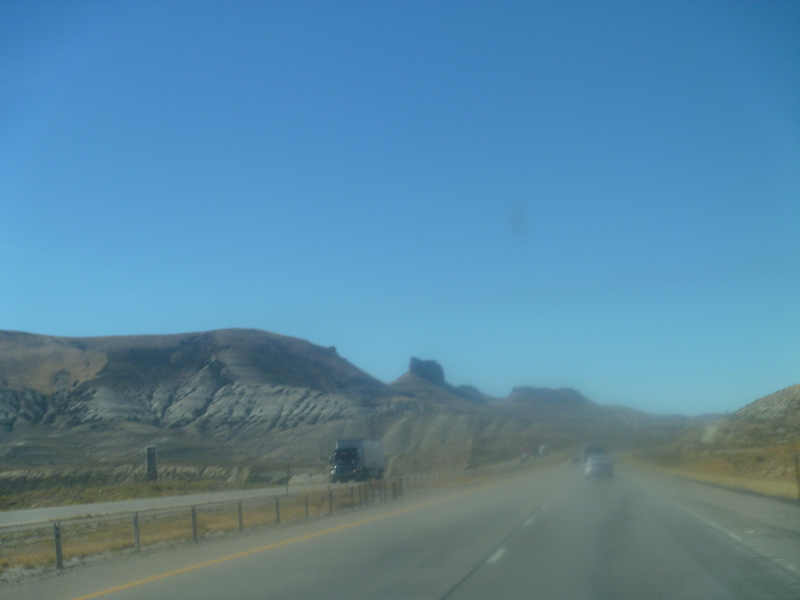 I was definitely hanging onto the steering wheel And at the same time I was enjoying the beautiful Wyoming scenery. It is nearly impossible to catch the vastness of the open Wyoming prairie and the beauty at every turn of the highway but I tried. 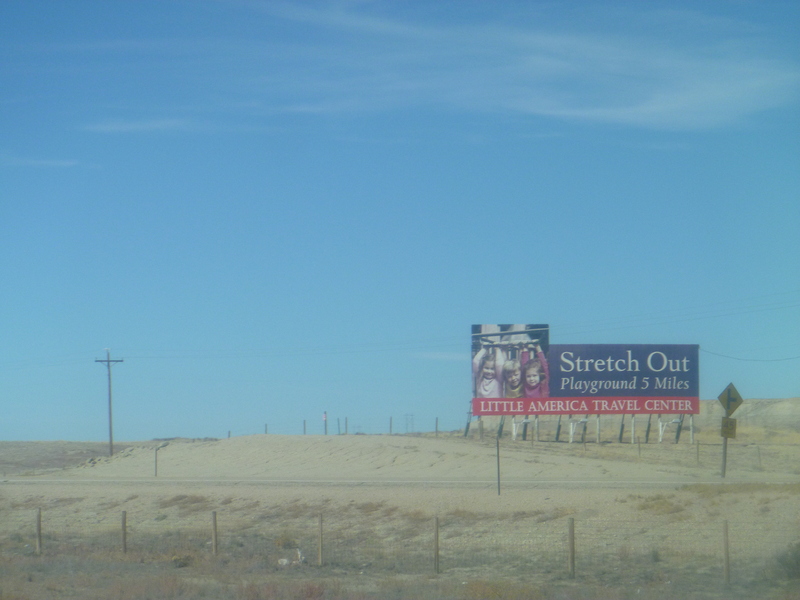 Just past Green River a ways you will come across these signs among many similar ones. 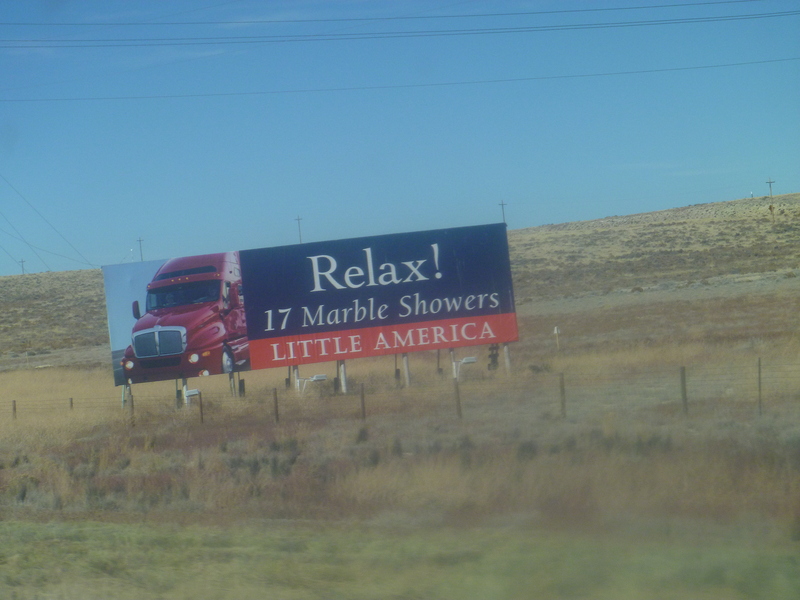 These signs tell you that you are coming to Little America. This is the site of the original Little America built in 1952. It was a small, welcome oasis along a lonely stretch of Highway 30, the first highway across America. It has expanded greatly in this location and there are 3 additional Little America’s. 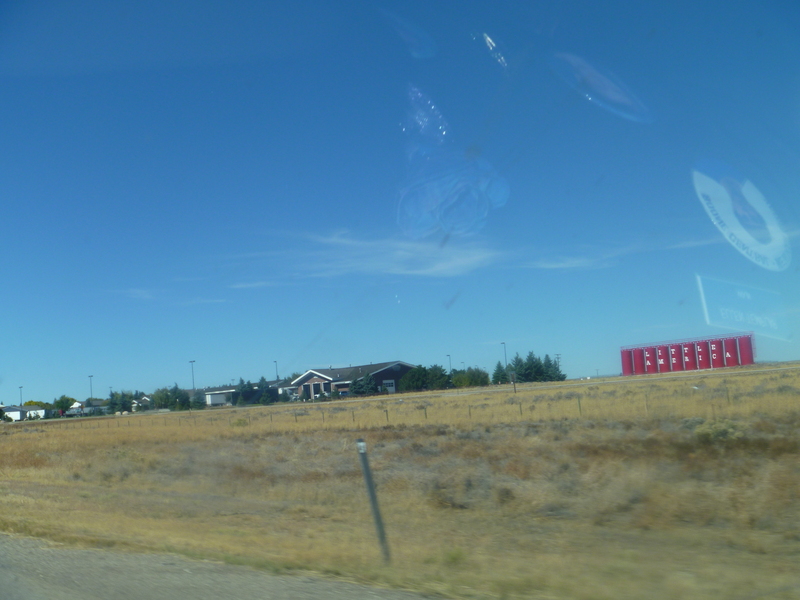 I usually stay at the one in Cheyenne when I’m there. 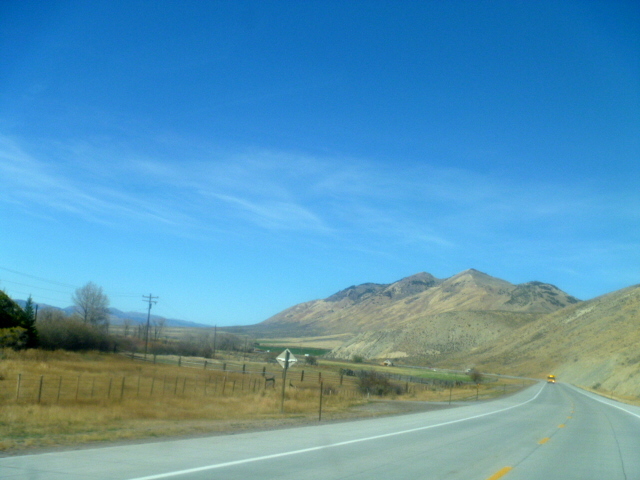 After stopping for gas and coffee at Little America I hopped back on I 80 for a few miles before turning off to head to Pocatello up through a natural valley with scenery like this along the road. Along the way evidence of fall coming to Wyoming is visible. 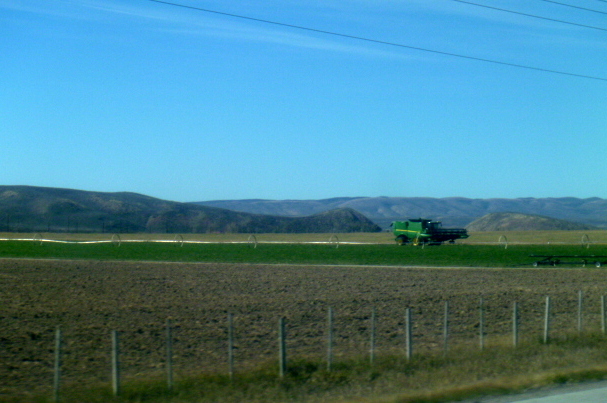 One additional sure sign of fall in Wyoming is the sighting of a combine as they only come out during fall harvest time. 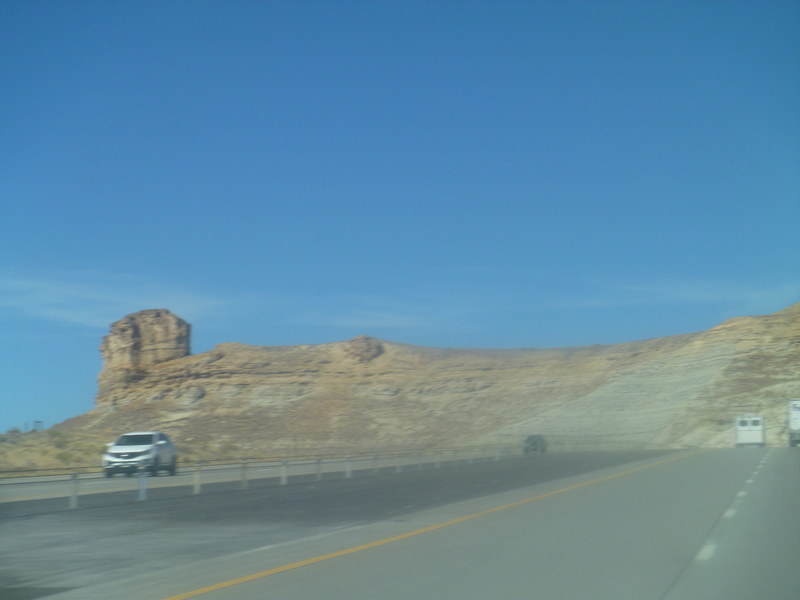 Almost to Idaho is the last landmark in Wyoming. 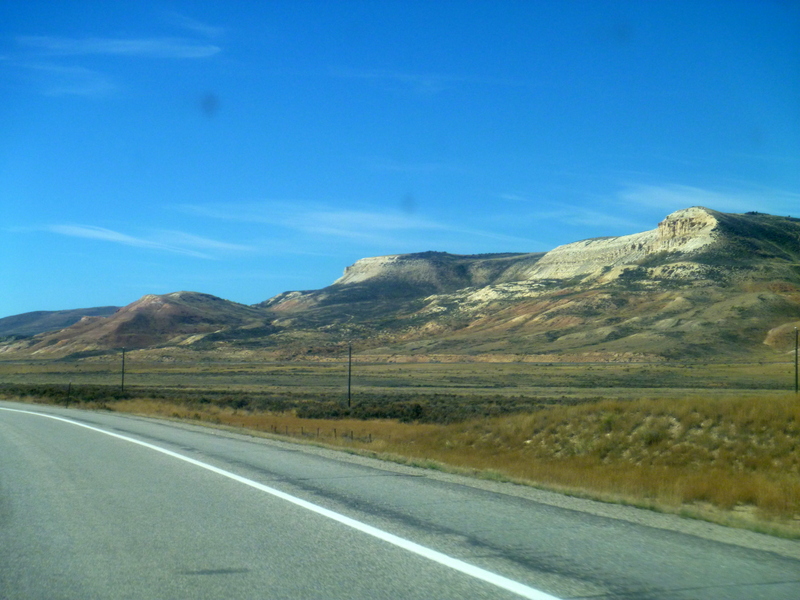 It was a most pleasant day of driving through one of my favorite places, Wyoming.